Here are eleven more enticing options to try out. However, there are tons of other things you can do this summer- I haven’t even mentioned roller-skating, juggling, book binding, spray-painting, cleaning up your locality, working with an NGO, rock- climbing and many more! Hopefully, a couple of the things on this list should entice you to take them up, or if they spark off ideas of your own, then great! If none of them appeal to you, then there’s always the allure of sleeping through the day and watching endless movies and television shows throughout the night- with piles of junk food for company! I don’t mean topographic maps or anything of the sort. Start small, how about a sketch of the layout of your house? Where the doors are, the windows, the walls and so on. Or your neighbourhood perhaps? Chart out a legend, decide a scale to draw to. Feeling really confident? 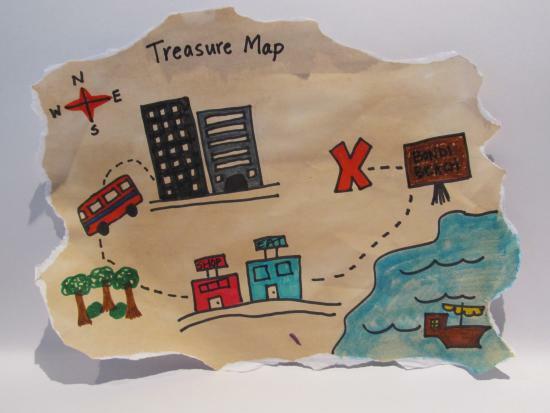 Make a map of your locality! It’s harder than it sounds! I’m not advocating the usual ‘collect stamps’ or ‘collect coins’ suggestions. But collections are fun. Stones- available everywhere! 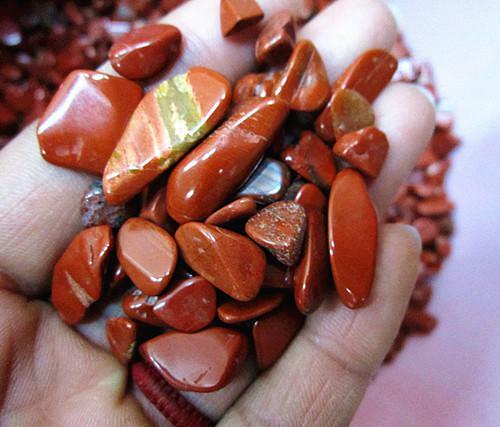 You’ll be surprised at the different kinds of stones there are, even in cement jungles. With bus tickets, it’s easier. Don’t screw up that piece of paper and throw it away, save it. You can probably do a study on the evolution (or disappearance, isn’t there a save paper campaign going on now?) of bus-tickets over time! Ludo, Sorry, Monopoly…remember those? The games we played before the advent of the computer and the iPad? 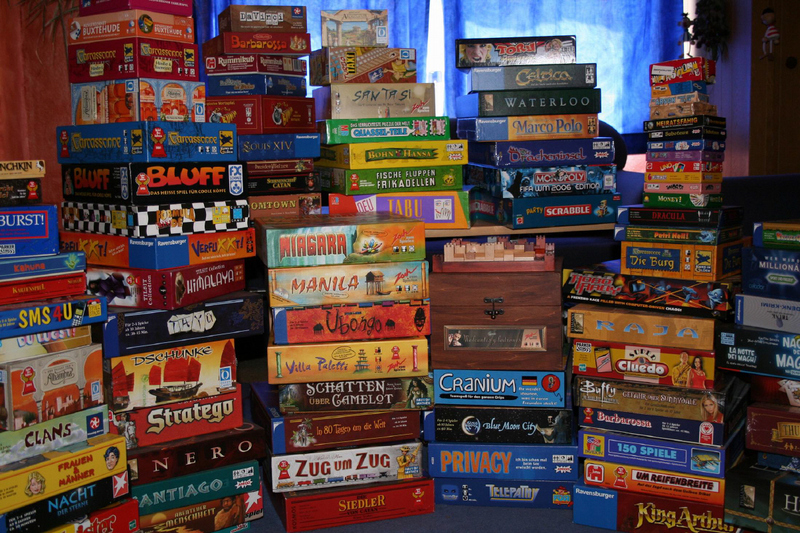 Organize a board games night. See how many words you can make with the letter ‘Z’ in it in Scrabble. See who has the most number of 500 pound notes at the end of a game of Monopoly. Spend a day playing a game of chess. It’s a lot of fun! An alternative to board games. Rummy, Gin, Snap, Go Fish, Poker, Blackjack, Bluff….there are plenty of card games out there for you to master! There are also card tricks you can learn. 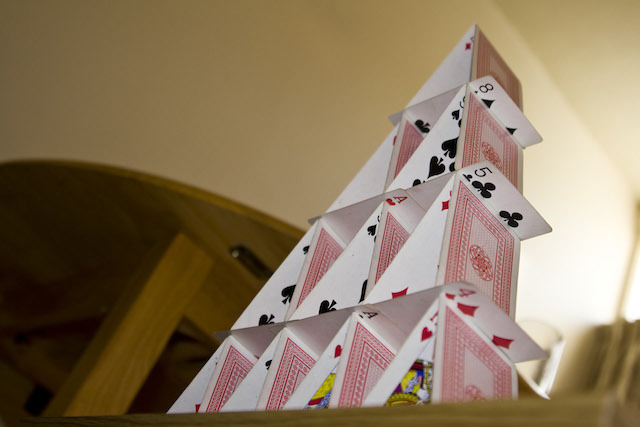 You can build a house of cards, you can learn the different ways to shuffle the cards- in fact, a deck of cards can keep you occupied for quite sometime! For those of you haven’t heard of this, I’d advise you to familiarize yourselves with Jeffery Archer’s novel ‘Kane and Abel’, or at least a part of it. You monitor the stock market, and jot down all the investments you would make in a notebook in a day. 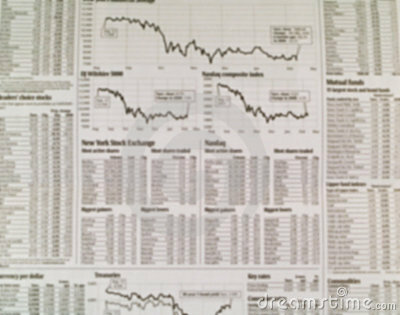 The next day, you check the stocks, see if your investments have paid off. You’ll soon get better at it, provided you don’t surreptitiously change your bad investments of course! Yes yes, you’ve heard the idea many times. It’s a great way to spend time, as well as save paper. 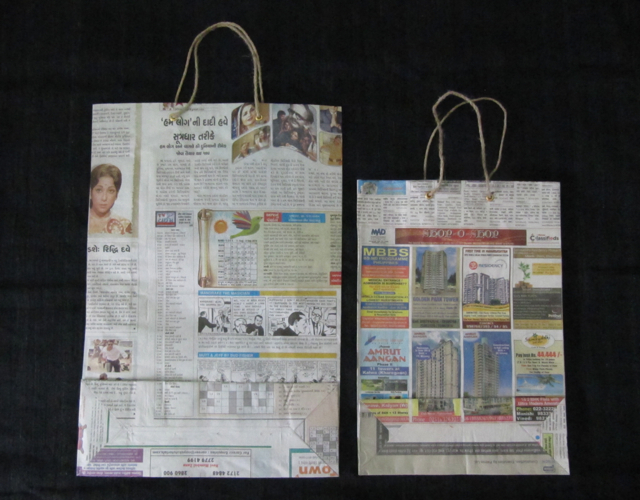 What with plastic bags costing five rupees, making paper bags could save you money as well as recycle items like newspaper, gift wrappers and cereal cartons. This isn’t as wild as it sounds. With a little bit of trial and error, you can soon cut your own hair and save a bit of money as well as creating your own style! For those of you who are too timid to snip off your own hair, try it out on a doll. Or a friend (if he or she is willing, of course. Or you could always try it when they’re asleep). 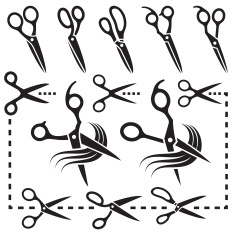 Just keep in mind though that you don’t snip off too much! You don’t want to look like a walking disaster! There’s only so long you can stare at the ceiling of your room. 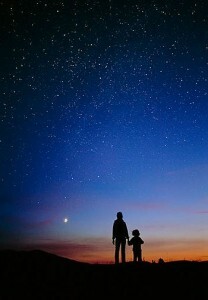 Why not stare at the night sky? From your terrace or garden? If it’s a clear night and its dark enough, you might be able to spot a few stars. It’s always handy to know a few of the major stars and constellations, like the Pole star, Sirius and Venus. Constellations can also be identified easily, I’d suggest Google Sky Map. It’s a nifty little app, you can recognize constellations and stars fairly well with it. This doesn’t mean acting, it includes it, among a whole host of other things. There’s writing, prop making, screenplay writing, directing, producing, singing- there’s definitely something you can do in a theatre workshop! If there’s nothing nearby, why not gather a group of friends and acquaintances and put up your own street play? It’ll be loads of entertainment as well as keep you busy! Ever wondered where you come from? Who your great-great grandparents were? Who (or what) great-aunts are? 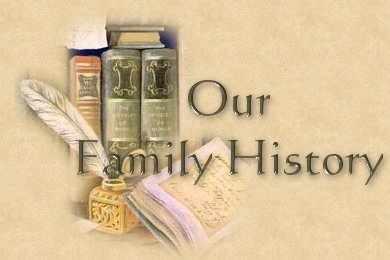 Why not take a notebook and begin writing your family history? Talk to your grandparents, uncles, aunts. Chances are, you’ll come across an interesting anecdote or an exciting adventure, or perhaps even a breath of scandal? This is a pretty simple way of building an ecosystem. The materials you need are also fairly inexpensive- a huge carbonated-drink bottle, a pair of scissors, some mud, gravel, seeds, cotton, and a cotton wick. Also, some water. Cut the bottle in half. Fill the upper half with mud, then gravel. Plant the seeds in the gravel. Make a hole in the cap. Now, fill the lower half with water. Invert the upper half of the bottle and place it in the lower half such that the tapering end of the bottle is in the cut lower half. Pass a cotton wick down this apparatus, through the hole in the cap such that it lies in the water below. A few days later, you’ll see things beginning to grow. Do some reading up on it, see all the various things you can do with your own little ecosystem!